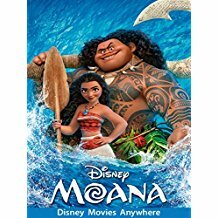 Moana Reo Maori: Moana in Te Reo Maori! Can’t get enough of the movie, Moana! Well, brace yourselves a special edition of Moana, (Moana Reo Maori) returns to movie theatres… again, completely redubbed in Te Reo! To celebrate Te Wiki o Te Reo – Maori Language Week (11th to 17th of September) there will be free screenings of the film, Moana in Te Reo Maori at cinemas in Wellington during the weekend of the 16th and 17th of September. A great event to bring the whole family to enjoy a Disney Classic and learn, or brush up on your Te Reo Māori.